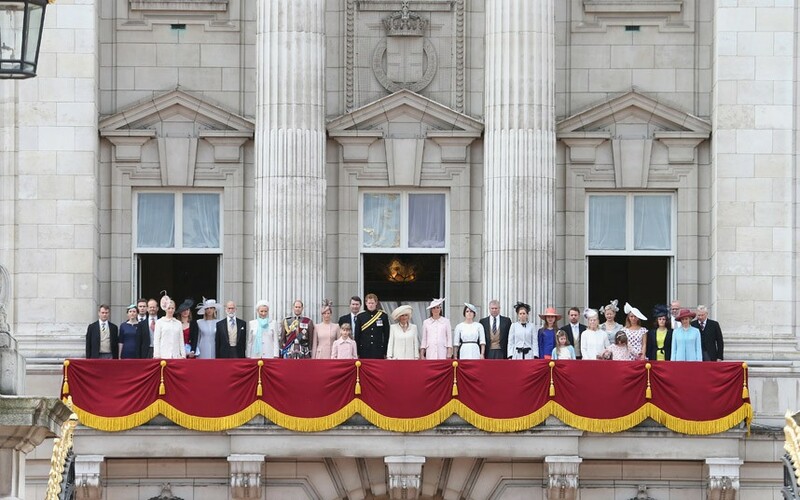 The Royal Family standing on the balcony after Trooping the Colour. 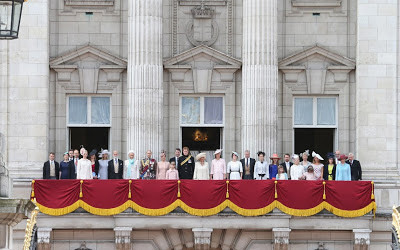 Yesterday tens of thousands of people lined The Mall and crowded in front of Buckingham Palace to watch the military procession of the yearly celebration of Her Majesty's official birthday, known as Trooping the Colour. 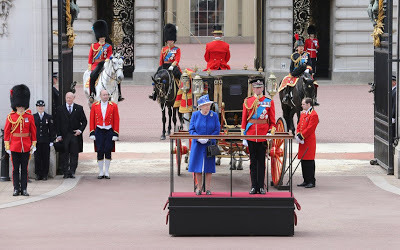 It was the 61st occasion that The Queen, who turned 87 on 21st April, has taken the royal salute. Prince Harry shared the coach with The Duchess of Cornwall and The Duchess of Cambridge. 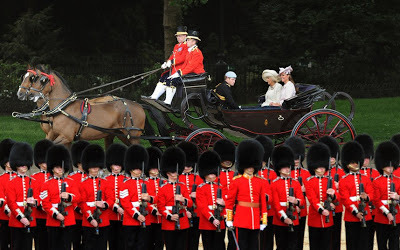 The Duke of Edinburgh's place at the Queen’s side was instead taken by her cousin, the Duke of Kent. 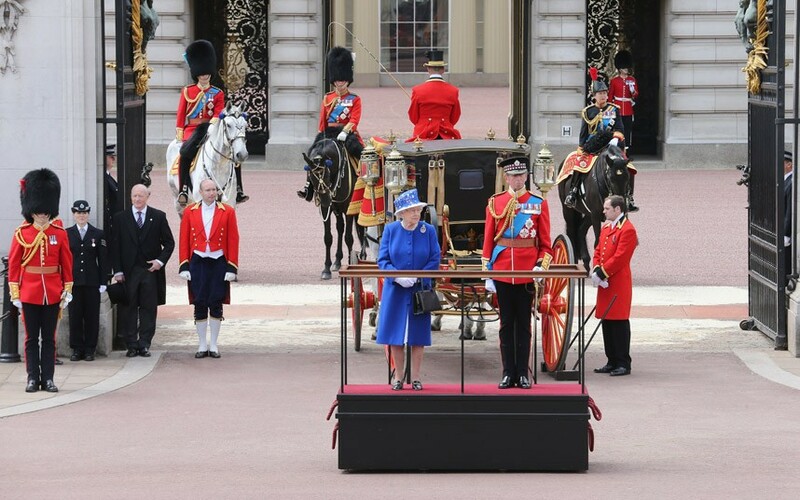 The Queen first took part in the Trooping the Colour in 1947 and first took the royal salute in 1951, when she deputised for her sick father, King George VI . The Queen and The Duke of Kent.